The Governors Highway Safety Association ( GHSA) reports that 5,984 pedestrian deaths occurred in 2017, a 27 percent increase from the year before. The report indicates that there was no change in the rate of pedestrian fatalities in 7 states, a decrease in 20 states and an increase in fatalities in 23 states. Research indicates the high rate of pedestrian traffic deaths are due to smartphone usage and the legalization of recreational marijuana in several states both for drivers and pedestrians. In the states that have legalized marijuana use, pedestrian fatalities have risen by 16.4 percent in only the first half of 2017. 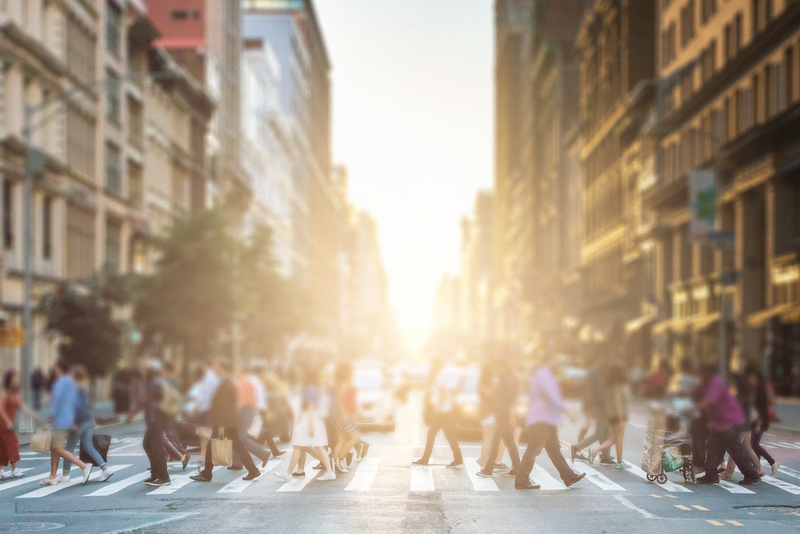 A four-year study by the National Highway Traffic Safety Administration (NHTSA) reveals that in large cities (populations of 300,000 to 1 million) pedestrians account for 40 to 50 percent of fatalities. An executive at the Active Transportation Alliance cites that speeding, failure to yield, and distractions are the top three causes of pedestrian fatalities. Both driver and pedestrian can be distracted as well as failing to yield the right of way. The average age of victim in a pedestrian fatality is 47, and the average age of those who sustain injuries, both minor and severe, is 38. 70 percent of victims of fatal pedestrian accidents are males, making up 70 percent of the more than 5,000 fatalities each year. A little-known statistic is that of railroad and train suicide. The latest data from the U.S. Department of Transportation, along with The Federal Railroad Administration (FAR) reveals that in 2016, 229 people died by train in the United States. The highest number of fatalities since the collection of data began in 2012, was in 2015 with 321 suicides. The FRA reports an average of between 275 to 325 suicides across freight, passenger and commuter rail lines each year. They also report an average of 50 attempted suicides on these rail lines each year which include passenger rails such as Amtrak. Homeless persons, often in states of despair or depression are known to throw themselves in front of passenger and freight trains or lay over tracks when a train or rail cars near. Distraction, speed, and driving while impaired are the top three causes of hit and run accidents involving pedestrians. Because drivers flee the scene of a hit and run without rendering aid to the victim, the likelihood of severe injury or fatality is high and approximately 19 percent of pedestrian fatalities involve a hit and run. Not all states consider hit and run a felony if no one was injured, however, most states consider hit and run with injury a felony and a hit and run that involves a fatality carries severe consequences. A driver who is at fault for not being insured or who is underinsured can also face severe penalties including prison time if the accident involves a fatality. Although each state has strict requirements and stiff penalties for driving uninsured, the Insurance Research Council (IRC) reports that more than 14 percent of drivers are driving uninsured in the U.S. The National Safety Council reports that the average person carries the risk of having 3 to 4 car accidents in their lifetime. They also report that there is a 1 in 303 chance of dying in a car crash in your lifetime. These are staggering statistics but ones which should keep us aware. A wrongful death attorney has the resources and expertise to aggressively litigate a fatal pedestrian accident whether the cause was a hit and run or because a pedestrian crossed outside of a crosswalk. Attorneys who deal in wrongful death lawsuits see the worst cases and understand the complete devastation that occurs in the event of the death of a loved one. Whether a pedestrian was partially at fault or not at fault at all, an attorney who understands the law can successfully litigate the toughest case. If you are a surviving spouse, child or parent of someone involved in a fatal accident, facing your tremendous loss is enough to deal with. A wrongful death attorney understands that there may be financial, medical and other hardships after the loss of your loved one. Although each state has different laws concerning wrongful death lawsuits, in all states, a surviving spouse may file a wrongful death suit as well as the parent of a minor child without question. Other surviving members of the loved one’s family might also possibly file a wrongful death lawsuit. If you have lost a loved one due to an accident, it is wise to contact an attorney who can advise and represent you during the most difficult time in life.